If you can see your retirement on the horizon, you’ll no doubt be looking forward to spending quality time with your other half. After decades of the daily 9 till 5 grind, most of us, regardless of age, have a keen eye on the day we’ll hang up the uniform and turn off that early morning alarm call. However, with retirement comes extra time spent at home, thrown out of your usual routine, and the potential for many issues to build is huge. 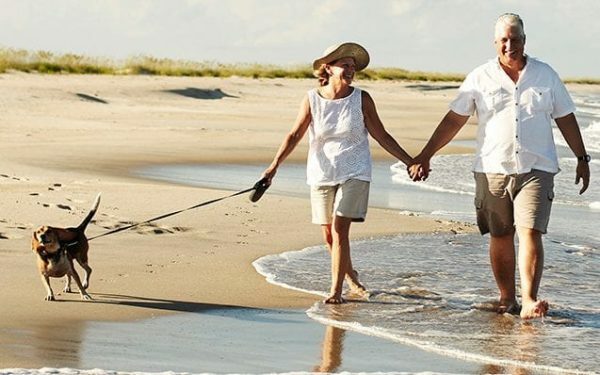 By recognising this you can work to ensure your relationship doesn’t suffer during your early retirement phase, thus creating a great time together for many more wonderful years to come. There’s no denying that a relationship will begin to change as both of you enter retirement. The jump between spending just a few hours with one another, first thing in the morning and last thing at night, to now spending every hour of the day in each other’s company is a stark difference. Though many couples can’t wait for the opportunity to spend more time together, the reality of being in each other’s pockets 24/7 is often a lot harder going than most people are initially prepared for. It’s almost like a permanent holiday, yet with neither one disappearing off back to work once the week or two is over with! Retirement is a great time to try something new, perhaps taking up a couple of new hobbies or interests. The trick to keeping your relationship fresh here is to take up two types of hobbies – those that you can do with one another as a couple and those which you do without the other. This way, you maintain the fun element of working together alongside working away from one another, like you did when at work, while building a deeper bond and connection. But, by also implementing a hobby you perform as individuals, you allow yourself the ability to take some time away from one another and come back to each other at the end of your hobby, just as you did with your former work day, therefore talking to each other about how your day went. Finally, don’t forget the intimate side of your relationship. Though it may not seem like it, retirement can bring about its own stresses and strains which will end up impacting your relationship when it comes to intimacy. Make time for your relationship and nurture it. If you find yourself struggling with the sexual aspect of your relationship, don’t put off finding a solution for it but look at immediate answers such as male enhancement pills or alternatively speak to someone professional about it, dealing with such issues instantly. The worst thing to do in retirement is to think that you don’t need anyone else and lose contact with all your friends in the process. Having friends together as a couple is great and a wonderful way to continue socialising as a large group,but it’s vital that you also keep your own friendship groups for when you need a break from one another. Loneliness can often be a big battle for many people in their retirement, even those that are married or living with someone, especially when one of you has a friendship group to meet up with while the other hasn’t and is ultimately reliant on their partner for their sole social interaction. Cheap Challenge: $50 Desk Makeovers!